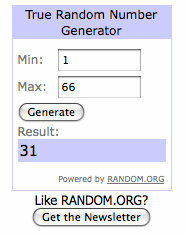 The winner of my little 3rd year blog anniversary giveaway is Karunya. Thanks everyone for entering. Karunya, please email your address and I shall ship the gift to you. These chips are a great snack. These slightly salted, deep fried goodies also can be used to accompany any rice dishes. Amma usually serves these chips along with tomato rice, lemon rice or bisibelabath. They are so easy to make and a single plaintain yields a huge amount of chips. 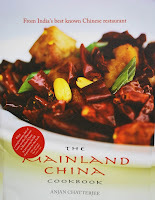 I made these last weekend along with sanbar saatham and we munched on the leftovers as an evening snack. The bananas need to be green and raw and not ripe. Peel the raw plantain and slice them very finely using a mandolin. Heat oil in a heavy bottomed vessel and add around 12 to 15 slices a batch. Don't crowd the oil too much. With the slotted spoon, flip over the chips so that they get cooked on the other side as well. When the chips turn golden brown, remove the chips with a slotted spoon and drain on paper towels. Sprinkle some salt to taste. Store in an airtight container. 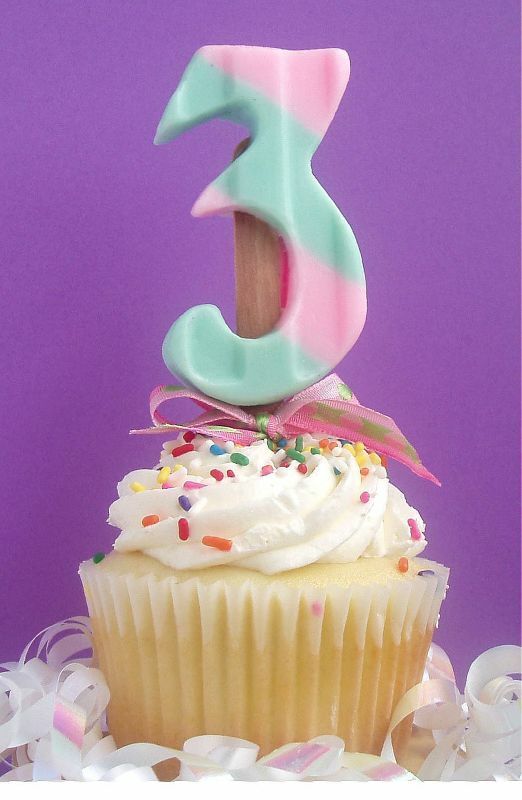 Celebrating my 3rd year blog anniversary and a little giveaway! Today, Dil Se.. turns three! It all started a day without much thinking inspired by all the blogs out there. I just wanted to record all my kitchen experiments being a newbie to cooking. Blogging has introduced me to several new friends, people from all parts of the world and also to various cuisines. I have acquired a few photography skills as well. 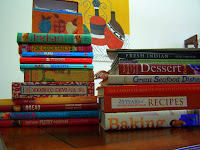 Blogging gave me the courage to venture into the world of baking which has become my favorite pastime now. 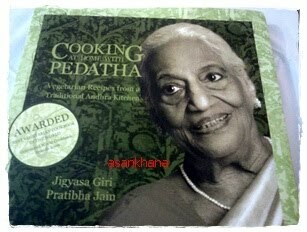 I also tried a few authentic and traditional recipes as well. I was able to contribute to several events and contests. I was able to host a few of my own events as well. Thanks to my dear husband who is a good critic and gives feedback for all my cooking experiments and waits patiently to eat until I photograph all my cooking! I also thank all the bloggers out there for encouraging me with your valuable time and comments. My very first recipe Sweet Pongal! The first thing I ever baked! Sweet Coconut puffs. Show Me Your series of events..
"Hey Divya! This is so simple and delicious! The Pic makes me grab a cup of it and have it with my rice! Total bliss! 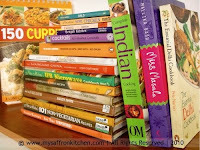 Thanks for sending it my way :)"
My first non-food blog! Currently pursuing Project 365. Blogging has really helped me improve my photography skills. Thanks again everyone for supporting me!! Now moving on to the giveaway.. 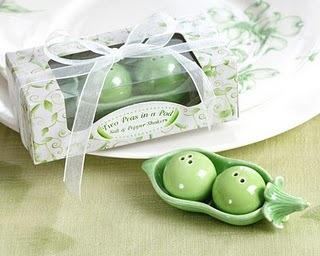 I have always loved these cute little salt and pepper shakers. I am giving away a set of these to a lucky reader of Dil Se..
You have to do any one of the following and leave a separate comment for each in this post. 1. 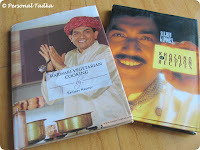 Leave a comment on this post describing what you like at Dil Se.. or what you would like to see here in my blog. 2. Follow me publicly in Google Friend Connect. 4. Subscribe to Dil Se.. via email. You can find a "Subscribe to" box in the right column of the blog. 5. Blog about this giveaway. Remember to leave a comment for each entry. The giveaway ends on January 25th, 12pm Pacific time. The giveaway is open to anyone. It will be shipped worldwide. ,It is freezing out there in many parts of the world and what can be more comforting than a warm bowl of soup and some crusty bread to dunk in it. 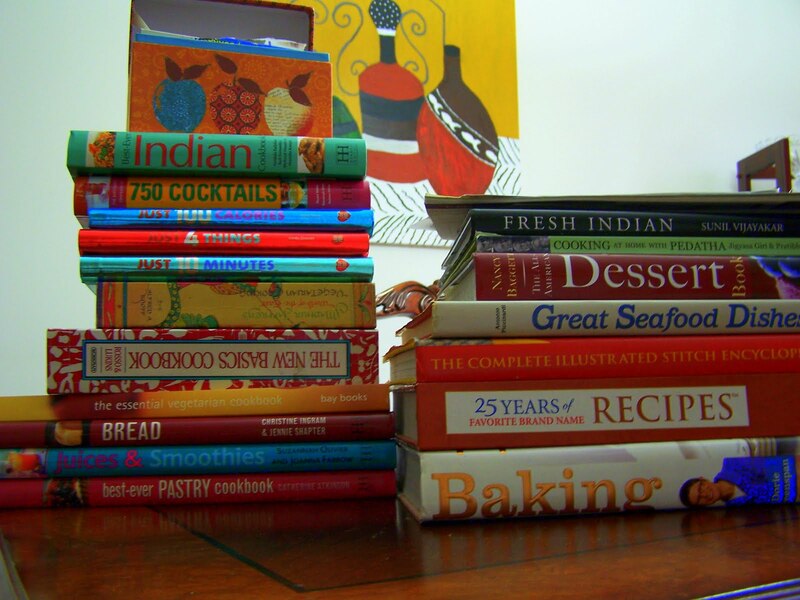 After showing off your cookbooks, it is time to get cooking your favorite soups this month. According to Wikipedia, "Soup is a food that is made by combining ingredients such as meat and vegetables with stock, juice, water or some liquid base. Traditionally, soups are classified into two main groups: clear soups and thick soups. Soups are similar to stews, and in some cases there may not be a clear distinction between the two. Generally though, soups have more liquid than stews. Homemade soups are ideal for any healthy meal plan. So, get out your aprons and start cooking your favorite soups with your favorite ingredients. All you have to do is prepare your soup with any ingredient, blog about it and fill the details in the following form! Please link back your post to this event announcement. Your soup can be vegetarian or non-vegetarian. Archived entries are allowed if reposted and linked back to this announcement page. Send in all your entries to divyablogs[AT]gmail[DOT]com before Feb 28, 2011. Blue Plate Lunch Counter and Soda Fountain is a tiny, cute restaurant located in downtown Portland, OR. It is really really small with just four to five tables and the food is cooked right there in a small kitchen where you could look at your orders getting cooked. We reached there after hearing some rave reviews from a few people we met and also after looking at some reviews on the web. We did not require any reservations and we were seated almost immediately. The menu was really small but really had some interesting stuff. The highlight are the sodas they make themselves. They have an array of different flavors. We tried the Chai Bomb and Hawaiian Sunset and both were amazing. For our lunch we ordered the Tomato soup with grilled cheese sandwich which was really comforting and perfect for the freezing weather we had that day. The tomato soup was delicious beyond words. Our second entree was a Chicken Parmesan Sandwich with mashed potatoes. The chicken was perfectly cooked and the bread was big and crusty. The entrees are priced at around $8 which was reasonable for the portions available. The sodas were the best. We also had a chance to snap the following picture. Guy Fieri of Food Network fame spray paints a stencil in most of the restaurants featured on Diners, Drive-ins and Dives.This was found on the wall next to our seats. Blue Plate - Definitely worth the visit if you are in downtown Portland. A cozy lunch spot! Kuzhi paniyaram has been one of my favorite snacks since childhood. My mom used to make these beauties both savory and sweet versions and serve them piping hot as evening snacks after we return home from school. They taste great by themselves or along with some spicy chutney. I was only able to drool at these kuzhi paniyarams when I saw them in various food blogs until I got these back along with me after our trip to India last year. Now these has been a regular favorite in our household. Now moving onto the recipe..
Chop the green chillies and onion finely. Heat oil in a saucepan and add the mustard seeds, urad dal, asafoetida, onions, green chillies, curry leaves one by one saute for a minute. Add the tempering to the dosa/idli batter and mix well. Season with salt if needed. Heat the kuzhi paniyaram pan and add a drop of oil in each hole. Add a spoonful of the batter in each hole. Allow it to cook for a minute and with the help of the wooden skewer provided along with the pan flip the paniyarams over. Allow it to cook on the other side and remove from the pan. Serve warm by itself or along with a chutney of your choice. Outside India, you could get the aebleskiver pan and use it to make these kuzhi paniyarams. Happy New Year to everyone! Hope everyone had great Christmas and New Year celebrations.. This is a to-go snack at my place. Whenever we feel like munching on something hot along with our chai, I make these quick and easy onion bajjis. It comes together in no time and is made with staples available in our kitchen. The bajjis can be made soft or crisp by adjusting th amount of water in the batter. Slice the onions into thin slices or thin rounds. Mix together the besan, rice flour, chilli powder,asafoetida, salt and baking soda. Add water one tablespoon at a time and mix well to make a thick batter. If you want the bajjis more crispy, add a few drops water extra to make a thinner batter. In a heavy bottemed pan/kadai, heat oil around 2 inches high. When the oil turns piping hot, dip the sliced onions in the prepared batter and drop them carefully in the heated oil. Allow the bajjis to cook and with the help of a slotted spoon, flip them over. Allow them to cook on the other side until it turns golden brown and remove them with the slotted spoon. Drain on paper towels. Serve hot by themselves. Any chutney or the plain ole' tomato ketchup might serve as good dippers. Serve along with some hot hot tea! Check out my Project 365 pictures when you find time!